Description: Bedrooms: Cleared commercial vacant land located behind lakeshore mall with anchor stores such as: cody's, red lobster, chili’s, & outback steakhouse. 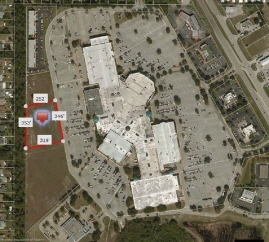 There is also a professional plaza and the sebring post office within the same subdivision. this property is zoned b3 and a total of 2.26 acres. The storm water retention is off site permitting more usage of the acreage.